Riders and supporters met at The Barbican of Alnwick Castle before the trail hunt set off pursuing an artificial scent that had been laid out earlier by a quad bike rider. 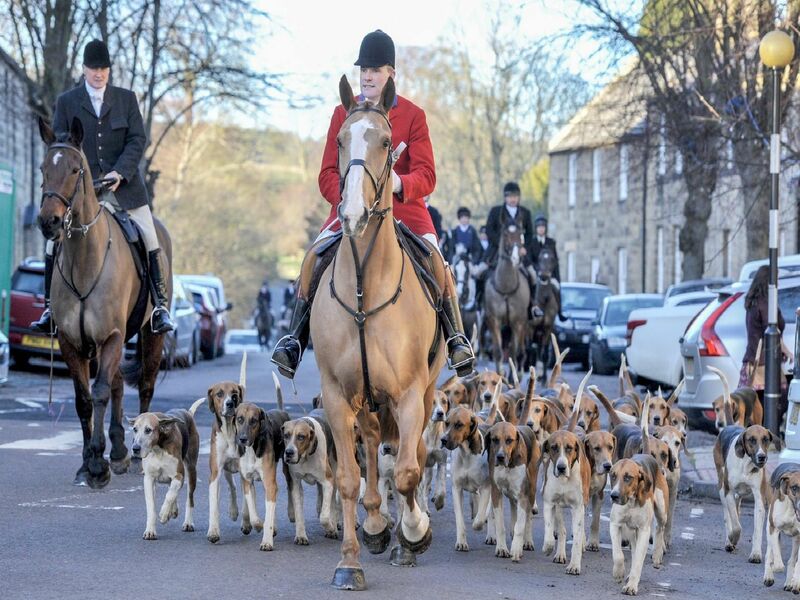 Huntsman Robert McCarthy said it was the biggest turnout he had ever seen and hunt chairman Harry Chrisp said he was thrilled to see so many new faces. Following on horse and quad bike. Crowds lined the streets to watch the event. The Duke of Northumberland and George, Earl Percy. Cheers - enjoying a Percy Special.